At home, we like okra/lady's fingers and make dishes using them quite often. They have numerous health benefits too. In India, you will find okra or lady's fingers as they are more commonly called, used in different cuisines. 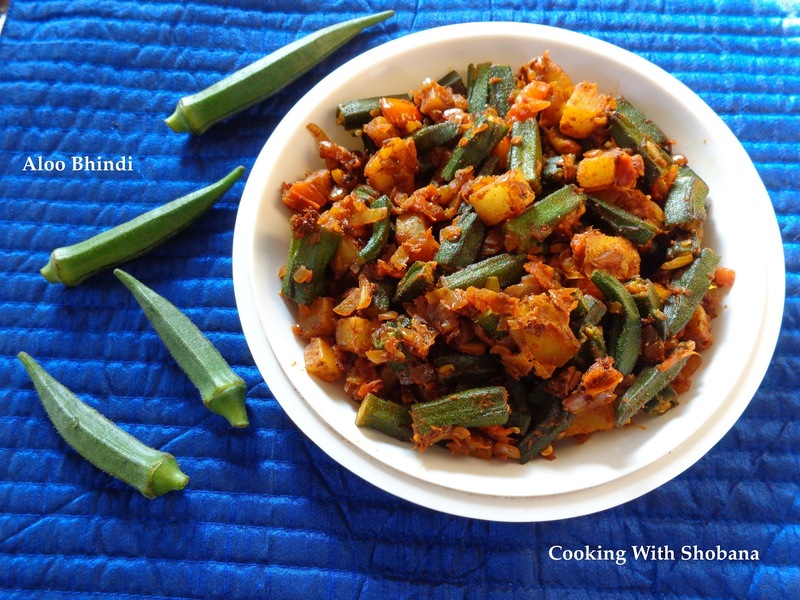 Today's recipe is from Punjabi cuisine and is for a popular dish called Aloo Bhindi, a side dish made with potatoes (aloo) and bhindi ( lady's fingers). Elsewhere. 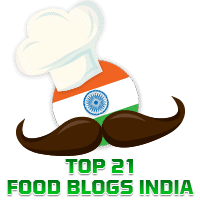 in this blog, you will find recipes for another Punjabi dish called Bharwan Bhindi, for Bhenda Sagle from Konkani cuisine, and for Bhindi Shengdana from Maharashtra. In making this dish, take care to choose tender lady's fingers for best results. 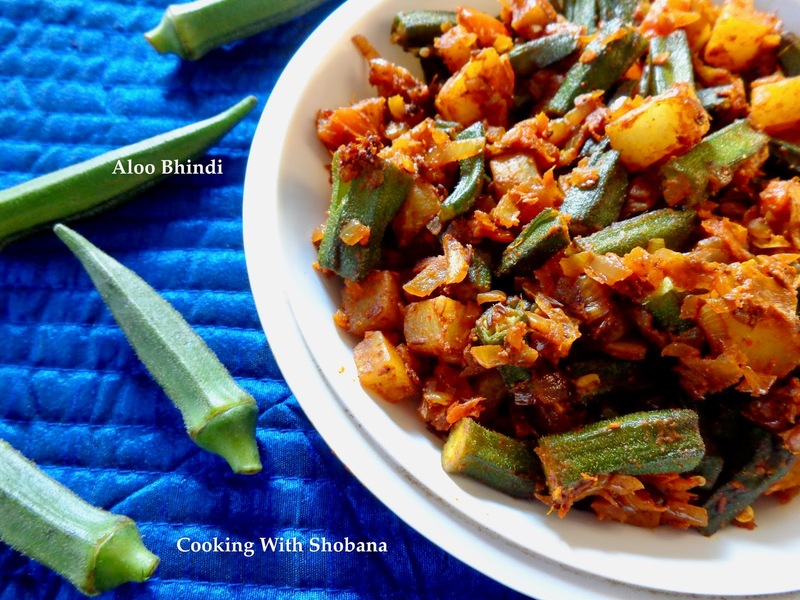 I have adapted this recipe from Aloo Bhindi by Kanan in Spice Up The Curry. We thoroughly enjoyed having this with hot rotis. Wash, peel and cube the potato. Keep it immersed in water to avoid discoloration. Discard the water and lightly smear the potato cubes with salt and keep aside. Wash the bhindi and pat them dry Snip off the two ends and cut them into 1/2 inch pieces. In a thick bottomed kadhai, heat 1 tbsp of oil and when it gets hot add the bhindi, a little salt and cook uncovered, stirring in between, till the bhindis become tender. Ensure that they remain firm and are not overcooked. Keep aside. Next, heat 2 tsp of oil and add the cubed potatoes after squeezing out water and cook covered stirring from time to time till the potatoes get done and are a little crisp. Keep aside. Lastly, add the cooked bhindi and the potatoes, mix well and cook uncovered for about 3 minutes.